Michael, The Christening cup arrived and you are right. It is lovely & I am very pleased with it. I know my cousin will be delighted, too. I didn't realize it would be in a presentation box. That is indeed a very nice addition. Thank you for providing this opportunity for a family gift. 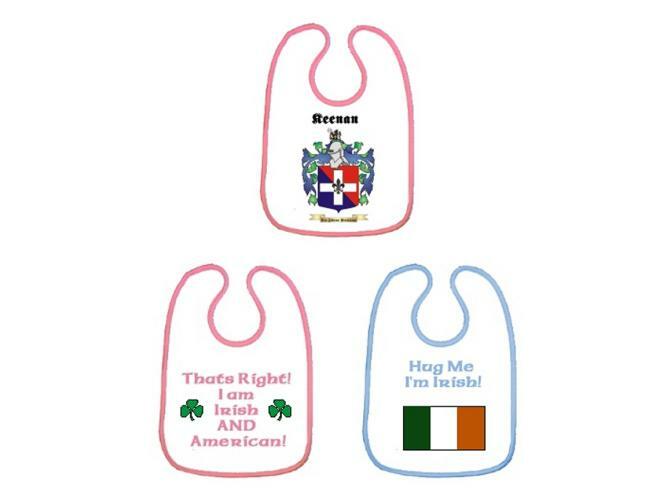 Personalized Baby Bibs Make a Great Gift! 2 Baby Bibs offered with a nice smooth 100% polyester washable material on the front. Edged with either Blue or Pink. Easily cleaned and washing-machine safe.